No one translates luxury into hair like the Jacques Dessange team. For their Autumn Winter collection the message is clear. 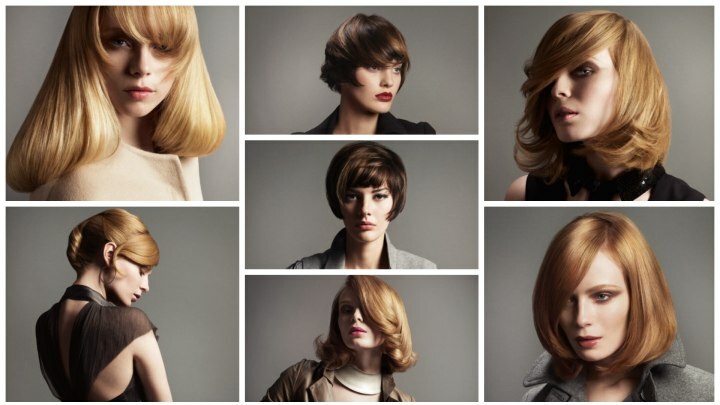 Fluid shapes in motion rule haute coiffure during the cooler months. Classy and elegant as always the Dessange winter collection features eight refined hairstyles for short, medium and long hair. The common denominator of all is a new focus on bangs and movement that is not restrained and echoes all around the individual style. Textures are subtle and used to soften the lines while increasing the fluidity of the smooth styling. The results are succulent looks reflecting abundance and prestige. Liquid lines frame the face and bring special attention to her cheekbones. The diagonal side fringe is high dosage elegance which is only topped by the surprise overlapping element on the partition at the crown. The general shape is wonderfully round and flowy like liquid silk, radiating and a glow of antique gold. The matching make-up is composed of gentle, earthy colors and used to add smokiness to the eyes and special shine to the lips. Round is the magic word for this precious long hairstyle. It features a simple center part and from there on nothing is in any way usual. 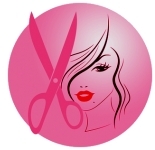 The bangs are shaped to a long veil, slightly thinned and curved and tapered to smoothly transition into the long sides. A round brush and amazing styling ability created the huge billowing inward turn of the hair. This enormous coil is enhanced by the light and dark slivers of light that keep the blonde color so alive and full of dimension. This sultry sophistication deserves all the attention. Smooth lines, full curves and a fringe pushed to the edge in its fullness, shape and movement invoke a sizzling sense of glamour. Sensual and elegant in its powerful flow this hairstyle captures the light in various shades of blonde from a golden hue to a dark honey counterpart. Superior styling is the key to the discerning elegance of this shoulder length hairstyle. Smooth seduction is in every curl and every curve of the golden blonde glam look. No hair is out of place and the movement created by the long fringe as it mingles with the billowy sides reminds of exquisite shapes formed by forces of nature. 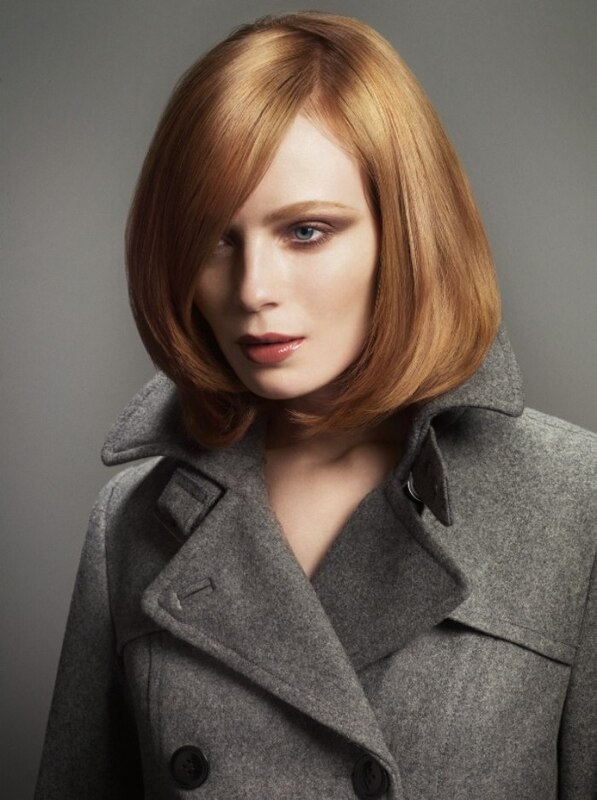 Cheekbones and eyes become the focus with the feature enhancing shape of this short bob. Again, the fringe "makes" the look and in this case it is an irresistible meeting of caramel and dark chocolate brown colored hair, cut meticulously and styled in three directions - slightly diagonal but showing the straight cutting line, two larger strands running crosswise and the long top layers smoothes along on the side in a rounded curve. The wide sections of caramel which are infused into the dark brown base color become especially visible when the styling takes a turn towards the front. Whirlwind motion sweeps from the back to give this face framing, fringy delight its high velocity character. Sculpted like a fine work of art and bathed in a reddish blonde shine, this elegant updo will get you through any evening in an air of luxury and glamour. From the front of the ear all hair was brushed towards the back where it was rolled into a beautifully shaped semi-banana roll. The top layer was also fastened higher towards the crown, which gives the look its elegant structure. The front, again with emphasis on a fabulous fringe is smooth as silk and coiled to perfection along the face. Incredible volume made out of deconstructed oversized curls will make them speechless. A range of succulent blond tones including strawberry, honey and golden blonde bring amazing depth and underline the wavy flow of this long hairstyle. The fringe as a centerpiece is cut into a tapered curve and styled with a gentle sideward motion.